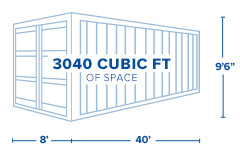 Interport’s 40-foot high-cube refrigerated shipping containers provide the most space and value of all reefer options. The additional foot of height means more capacity to store temperature-sensitive goods or materials. Our 40-foot high-cube reefers can maintain extremely low humidity and temperatures as low as -10 degrees F, making them ideal for protecting cargo from heat, mold, and condensation. 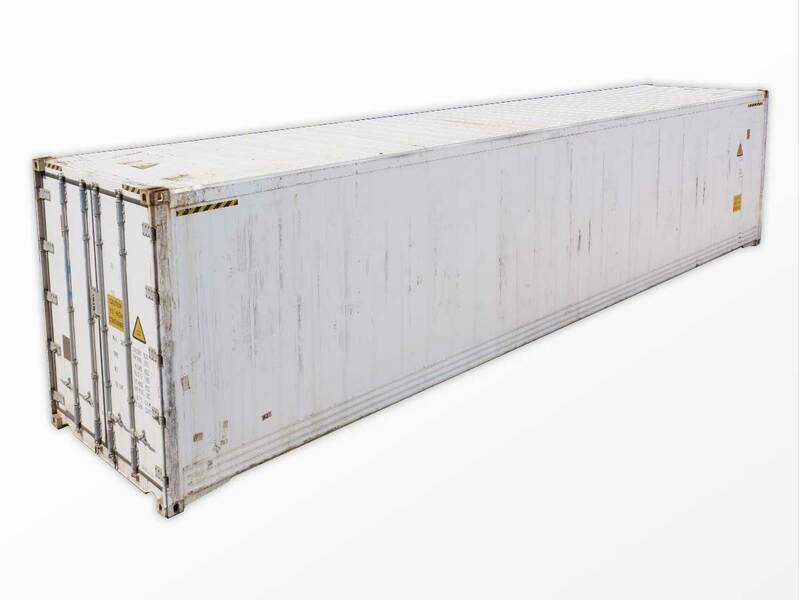 Interport offers a large selection of new and used 40-foot high-cube refrigerated shipping containers, available for immediate sale and next-business-day delivery. Width: 8ft. Width: 7ft. 6in. Height: 8ft. 2in. Payload: 62,192 lbs. Height: 9ft. 6in Height: 8ft. 3in. Tare Weight: 9,458 lbs. Length: 37ft. 11in. Width: 7ft. 6in. Height: 8ft. 3in. Width: 7ft. 6in. Height: 8ft. 2in. Gross: 71,650 lbs. Payload: 62,192 lbs. Tare Weight: 9,458 lbs.